An incredible cast of talented dancers, who also happen to be truly wonderful people, will be joining Gnosis for this year’s “Dance for Another Day” Charity Dance Showcase Benefiting the Alliance for Lupus Research. 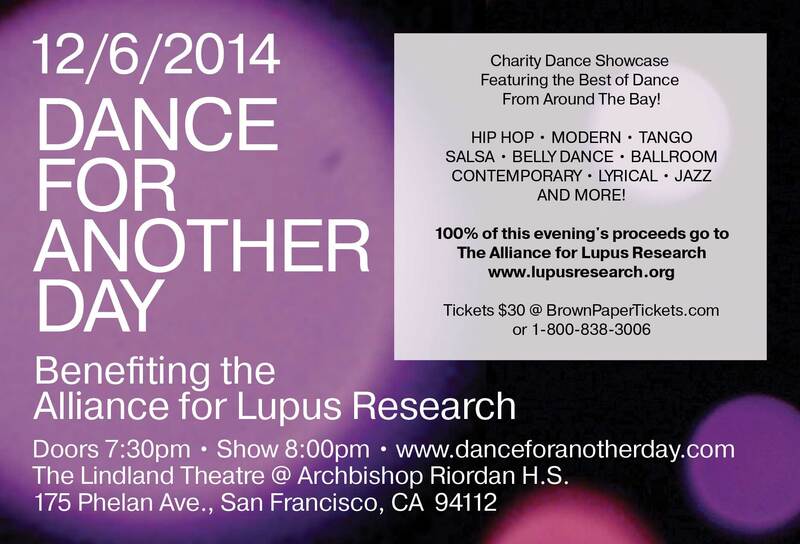 Representing some of our favorite studios, schools, and troupes from all around the Bay, the DFAD dancers will bring their hearts and souls and favorite moves to the stage for you THIS SATURDAY 12/6/14, and all for a great cause! …And don’t miss our very special guest, just in time for the holidays! But a great dance show is not nearly as fun without someone there to see it! So please, friends, won’t you join us? Tickets are on sale now at BrownPaperTickets.com and remember, ALL PROCEEDS FROM THIS EVENT WILL GO TO CHARITY! We may not have the funny striped shirts, but Gnosis Dance Collective has been almost as difficult to find these days as that elusive bespectacled bloke. But search no more! You will find us right here in the coming months, working hard to bring you “Dance for Another Day” 2014. 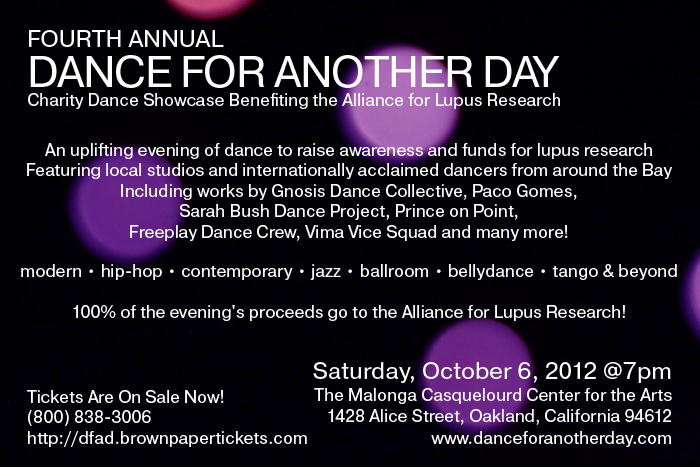 Between workshopping new movement and choreography and producing this fantastic event to benefit the Alliance for Lupus Research, Gnosis and friends are in the mix again. Check out www.danceforanotherday.com to learn more about the event and drop us a line via the contact form below if you want to be part of our cast or crew. The more, the merrier! And for those of you who don’t wanna wait ’til December, how about a flashback – way back to “Dance for Another Day” 2009 – that we think ol’ Waldo himself might enjoy. It’s September and just like everyone else, Gnosis is heading back to class (more on that to come!) And what would a back-to-school post be without a recap of our summer fun? So here it goes- “What We Did Over Summer Vacation”, Gnosis style. 1. One can never have too many fruity, umbrella-laden drinks while vacationing on a tropical island, but Tamara sure tried. 2. Yet again Alanna amazed us all with her musical prowess, adding her vocals to Lea Grant’s new release, “Cities of Snow”. 4. Mike’s been playing in waves of the light and sound variety with the talented Kinetech gang at KUNST-STOFF arts. 5. Steve stayed busy bringing the world closer together with his polyglotinous (that must be a word in some language) skills. 6. Tamara conquered new frontiers with the arts + medicine, bringing Expressive Arts Therapy to hospital patients and gathering new trainees along the way. 7. As if recording a full-length studio album weren’t impressive enough, Alanna also played a slew of gigs with her enchanting Honeybelles. 8. While Steve’s imagination worked overtime on some kooky, clever, and altogether brilliant script concepts. 9. Our fur-babies kept us all endlessly entertained with puppy play and kitty cavorting. 10. We may have occasionally jazzercised, but without all the perms and polyester, and with lots more giggle fits. 11. Sharing rehearsal time with The Latin Symbolics gave us a sneak peek at lots of their “WOW!”-inducing choreography. 12. And we all worked diligently on our summer reading lists. 13. We filled our plates with photo projects, painting, graphic design, poetry- and song-writing, cosplay, and a smorgasbord of other creative endeavors. 14. We traveled and played with our partners, families, and friends. So stay tuned as always for more news, announcements, and antics from the Gnosis bunch. We won’t even require a signed permission slip to let you join the fun! Gnosis wishes you love, joy and enchantment this holiday season and always. From our family to you and yours, thank you for all of your support and may you have a happy, healthy and dance-filled new year! Wow! THANK YOU is simply not enough to say how important and precious your support is to us! 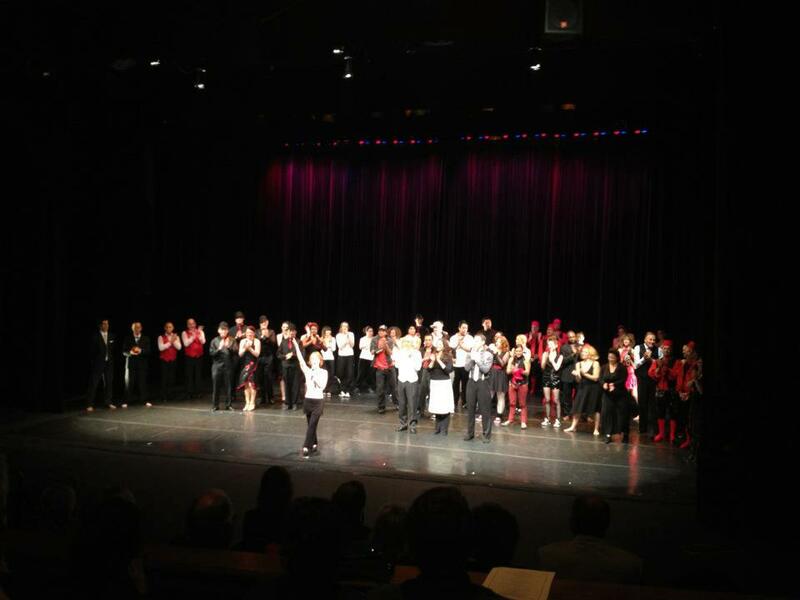 We’re so grateful to all of our dancers, donors, volunteers, crew and crowd who came out to support us last night. Congratulations to our amazing cast on a beautiful and heartfelt performance and many thanks to all of you who have been part of DFAD throughout the years. If you missed this year’s show, don’t fret- there’s still time to help make it a success! Support DFAD and the ALR with a tax-deductible online donation UNTIL November 1, 2012. No amount is too small to help this vital cause! @ http://walk.lupusresearch.org/goto/dfad12. 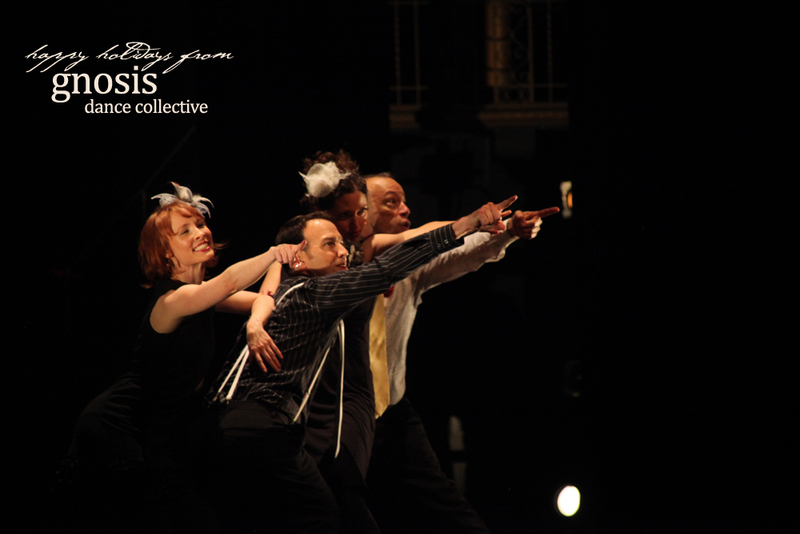 We look forward to seeing you all and perhaps sharing the stage with you at “Dance for Another Day” 2013! 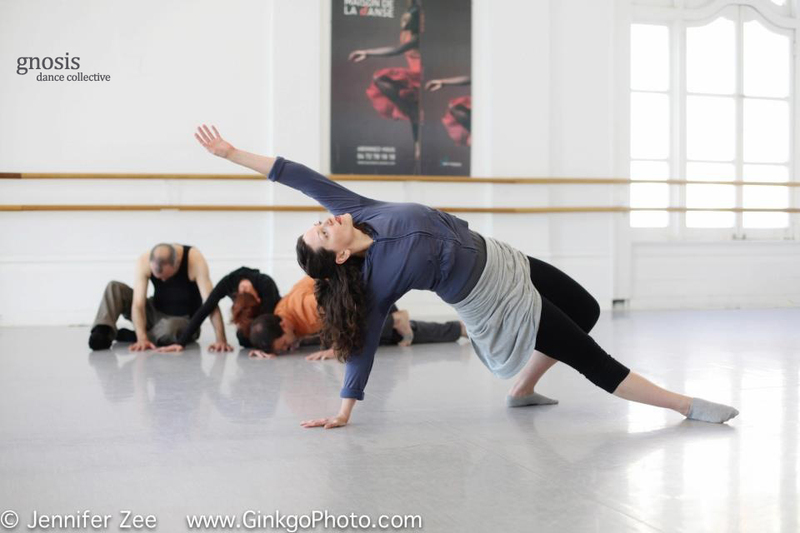 Email tlaree@danceforanotherday.com to learn how you can be part of next year’s action. “Dance for Another Day” Is Here! The Big Day is upon us and we can’t wait to share all of the amazing performances that we’ve gathered up into one big talented, eclectic, entertaining, inspiring and love-filled bundle for you all! 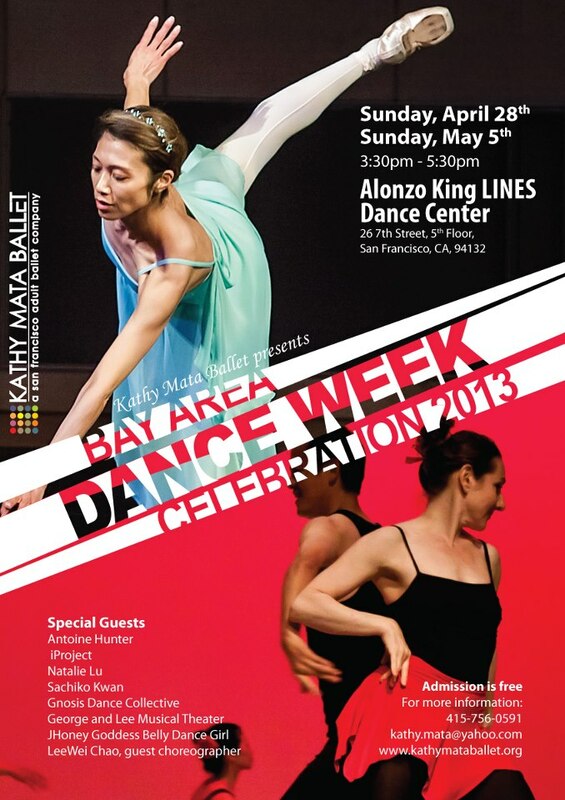 Showtime is Saturday, 10/6 @7pm at the beautiful Malonga Casquelourd Center for the Arts in Oakland, CA. Tickets are on sale now and you can still purchase by phone or Web until Midnight tonight, 10/5. CASH ONLY tickets will be sold at the box office tomorrow evening on a first-come-first-served basis. 100% OF ALL PROCEEDS ARE DONATED TO THE ALLIANCE FOR LUPUS RESEARCH! Our incredible cast has been working hard to put together a great show just for you. 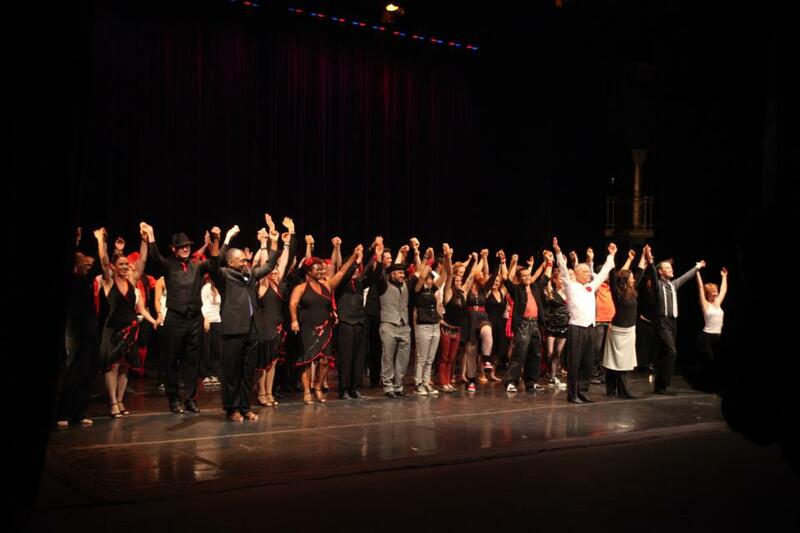 Featuring the talents of local studios and internationally acclaimed troupes from around the Bay, DFAD 2012 will include modern, hip-hop, contemporary, jazz, ballroom, bellydance, tango & more. We’ve got something for everybody and all for a great cause. So grab a seat and get ready for a night to remember! Buy online @ http://dfad.danceforanotherday.com or by phone at (800) 838-3006.